Coming To London In 2020! 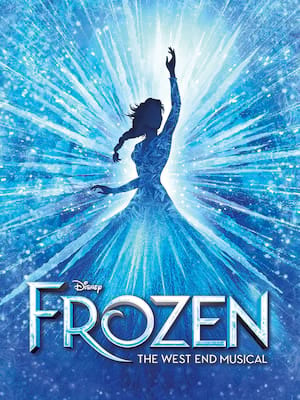 The icy magic of Frozen is heading to the West End! Considered London's oldest theatre site, Drury Lane can trace its origins back to 1663, when it was commissioned by Thomas Killigrew (the owner of the King�s Men acting troupe) upon the re-opening of the theatres after the Restoration. Originally known as the Theatre Royal Bridges Street, the building has had its fair share of drama, disaster, and scandal and we're not just talking about the stage! Somehow avoiding the Great Fire of London, this house popular with King Charles II and Samuel Pepys among others (indeed this is where famous royal mistress Nell Gwynn first caught the former's eye) managed to burn down in 1672 for the first time. Rebuilt in 1674, the theatre then was completely demolished in 1791 to make way for a new building that opened in 1794. Fifteen years later, that too burned down, and finally they managed to open the theatre we know today in 1812. If the turbulence of the bricks and mortar wasn't enough, the theatre was the site of a murder 1735 when actor Charles Macklin stabbed his college Thomas Hallam in the eye in a fracas over a wig, and a thwarted assassination attempt of George II in 1800 (they missed, the monarch commanded the players to keep going and by all accounts enjoyed the rest of the show unfazed.) Somewhat unsurprisingly the theatre boasts a clutch of ghosts but unusually for superstitious actor types, the appearance of the spectres is an omen of good luck! 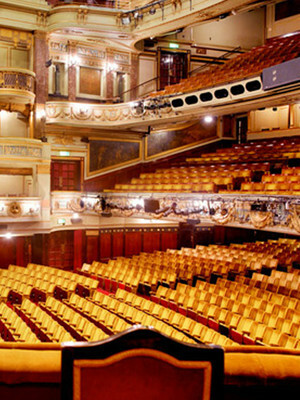 Since the Second World War, Drury Lane has kept the dramatics to the auditorium, mostly going in for long-running musicals, including Oklahoma from 1947 to 1953, My Fair Lady from 1958 to 1963 and Miss Saigon from 1989 to 1999.